A sterling silver champagne cooler designed by Borek Sipek for Cleto Munari. 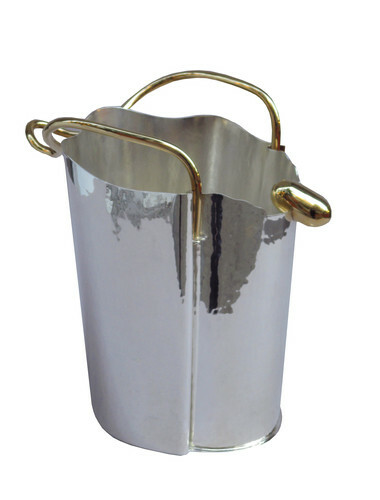 Hand hammered sterling silver with gold plated handles. Signed on the bottom: Borek Sipek per Cleto Munari and numbered 16/99. Dimensions: H:10½ W:8 D:11½ Inches.